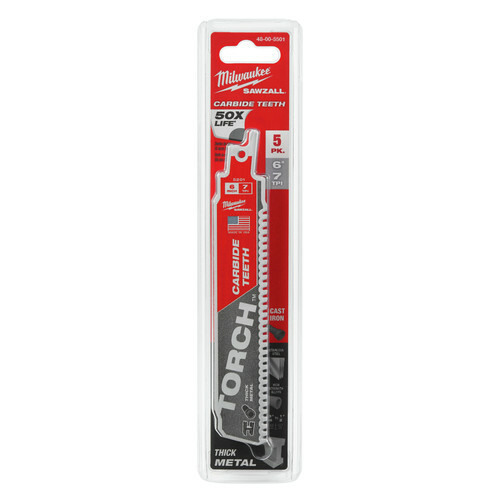 *Add two Milwaukee 48-00-5501 Saw Blades to your cart and the free item will automatically be added. Limit 2 free items per customer. Offer valid until 11:59pm ET on April 30, 2019 or while supplies last. No adjustments to previous purchases. Subject to change without notice. How well will this item cut iron and or steal? BEST ANSWER: Your question will be best answered by the manufacturer, who can provide you with the accurate information. The number to reach the technician is 1-800--729-3878 or online at www.milwaukeetool.com.